A SONG isn’t truly a song until it reaches out and grabs your heart, with both singer and accompanist sharing the enjoyment and responsibility of sensitively breathing life into its particular character. Communication is all. Some five years ago, London-based vocalist Georgia Mancio founded her popular ReVoice! Festival (in association with the Pizza Express Jazz Club), and has since curated and programmed more than 160 emerging and established artists, including Norma Winstone, John Taylor, Kenny Wheeler, Carleen Anderson, Claire Martin and Gregory Porter. Amongst this abundance of live jazz showcases has been Georgia herself, making 44 appearances to date – and somehow, she has managed to whittle down numerous recorded accounts from the festival into this hour-long, twelve-track treasure trove. What particularly stands out about this release is the raw, pared-down sincerity of the performances. Georgia Mancio shares the stage each time with a single guest instrumentalist – and rather than any sense of ‘anonymous accompanist’, there’s an enthralling synergy between them; in some respects, no surprise at all when the calibre of the musicians (listed below) is taken into account. These are bold, no-hiding-place expressions, and Mancio – as storyteller – possesses an innate adaptability, both in technique and artistry, to enhance the melodies and lyrics of these well-chosen pieces so naturally and so clearly, without the need for over-embellishment or showboating. And that’s classy. Wherever you dive in, this music has the ability to stop you in your tracks. The wistful, affectionate poetry of Paul Simon’s I Do It For Your Love is softly illuminated by Mancio’s gliding phraseology and endearing vibrato, with Nikki Iles’ subtle pianistic invention typically exquisite; and the emotion of Sting’s Fragile is drawn into focus as Andrew Cleyndert’s cantabile double bass wraps itself around the vocalist’s poignant yet agile delivery. The impudent swagger of Hendricks/Turrentine number Sugar is priceless – a fabulously intuitive double-act with Mancio’s rapid, teasing phrases matched by Laurence Cottle’s bluesy, looped, 5-string bass brilliance; whilst Sammy Cahn’s The Things We Did Last Summer, to Colin Oxley’s luscious electric guitar chords and fleet-fingered extemporisations, couldn’t be more carefree (especially when Georgia’s signature whistling completes the sunshiny picture). The wistfulness of Lennon & McCartney’s In My Life is elegantly reimagined, James Pearson’s rubato piano so at one with the vocal; as is Carole King’s Going Back, with Liane Carroll’s characteristic keyboard grandeur honouring that strong ’60s songwriting tradition. Michael Janisch’s double bass is recognisably and percussively ebullient (audacious, even!) in quickfire Just In Time, Mancio scatting energetically; and the shared Italian heritage of the vocalist and her accordionist Maurizio Minardi is eloquently expressed in Le Strade Di Notte, Minardi’s rising and falling dynamics intimating dimly-lit melancholy. 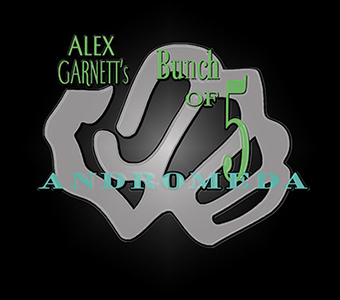 A handful of piano-accompanied jewels complete the selection, including delightfully waltzing yet bittersweet Bendita, co-written by Mancio and Tom Cawley; charming Willow Weep For Me (Jason Rebello’s harmonic searchings so magical); Robert Mitchell’s lithe fingerwork pirouetting with Mancio’s impressive vocal elaborations on Just Friends; and an irresistibly misty end piece, David Bowie’s When I Live My Dream, accompanied by Ian Shaw. Seasoned fans of ReVoice! will probably be itching to get their hands on this. For any other appreciator of beautifully-fashioned vocal jazz… equally, it’s a must. 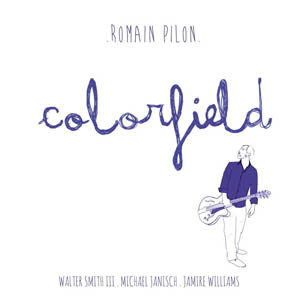 Released on 26 November 2015, on Roomspin Records, Live at ReVoice! can be purchased from Jazz CDs and Amazon, as well as at iTunes. I THINK I love this album (there… I’ve said it!). What began as a cursory listen – never a good idea – is already blossoming, after the much longer and closer inspection due, into an exciting and absorbing programme by Patrick Cornelius and a clutch of august, experienced musicians. 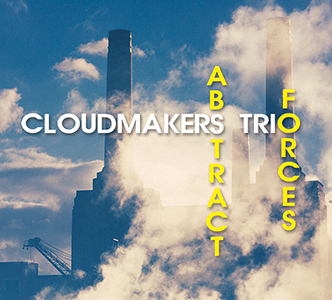 ‘Infinite Blue’ is a quartet recording, or so it would seem – for when the already sturdy alto sax, piano, bass and drums combo is augmented on a good number of the nine tracks by trombone and/or trumpet, it grows legs and becomes an even more highly charged powerhouse of equally tightly-arranged and creatively-improvised original pieces. The strength of this new album by New York-based saxophonist and composer Cornelius lies in the very apparent display of confidence and intuition which all contributors share and radiate from beginning to end. Respected pianist Frank Kimborough, Whirlwind’s virtuosic Michael Janisch on bass and no-need-for-introductions Jeff Ballard on drums are joined by trombonist Nick Vayenas for five numbers, Michael Rodriguez on trumpet for three. So what is it that entices so? Well, take a listen to ‘Puzzler’, with the sextet cramming so much into its four minutes. From the off, the pacey tempo and precision arrest the ears with an unbridled, thrilling display of unison writing, launching off into consummate, flighty improvisation from Rodriguez and Cornelius, with Ballard clattering hard on snare and toms (call it hard-bop, post-bop, whatever… but it’s almost worth the price tag alone!). Opening number ‘Regent Street’ shows similar pizazz with Vayenas’ slick, clean trombone soloing and Kimborough’s high flying piano above the secure, swinging rhythm section. ‘Waiting’ – a spacious, mellow offering – finds the close-knit horns suggesting a Big Apple cityscape, Janisch laying down flexing bass both for Cornelius’s yearning alto and a gently caressing high piano line. The leader’s instrumental delivery is as strong on captivating improvisation as it is for his carefully-scored melodies, an ethic shared by his colleagues. Vayenas’ agile, lustrous trombone adds much to the big ensemble sound (check out his commanding solo on ‘Unfinished Business’); Kimborough and Cornelius communicate restrained, late-night melancholy on ‘In the Quiet Moment’ (one of two numbers as quartet alone); and Rodriguez’s adept brassiness shines throughout. 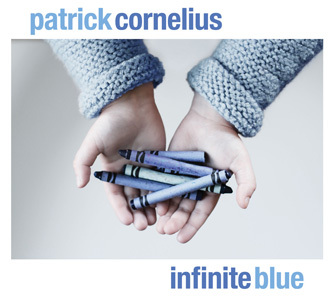 Photographically, the album sleeve alludes to Patrick Cornelius’s inspiration for his title – a family holiday flight through clear azure skies and a noted-down melody, followed later by his young daughter offering her crayons (and colouring book) to him, one labelled Cielo Infinito; indeed, the title track itself does seem to represent a calm, fresh and easy-going journey. To conclude, the attractive ‘Projection’, written by guest pianist for this track, John Chin, has a relaxed bossa feel (and, to my ears, a particular progression fleetingly reminiscent of McCartney’s ‘Blackbird’! ), gliding along to produce uplifting displays from all three frontmen. I shall keep on listening… and cranking it up loud!